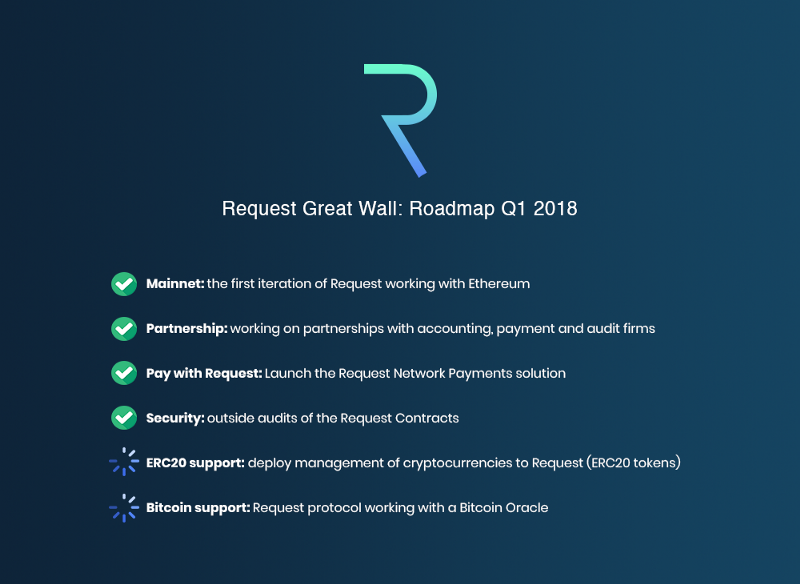 Request Network is Live! Progress is Fast! I am very hyped about this, as this is a blockchain application with real world use that has the chance to disrupt the financial online payment industry. Another blockchain with real world application is oyster pearl. Check that out if you haven’t already. Request will shape the future of payments including invoices, loans, salary and donations. They are also compliant for accounting, tax and audit integration. So what can you do at the moment? Connect to your ledger hardware wallet and to metamask. Create smart contracts that interact with the Request Network. You can go and check it out here. A great addition to the first version of the Request Network is the Payment Solution. Request Network will allow you to accept payments on your website. Do you offer digital goods? If your answer is Yes. Then Great! Now you can accept payments with the Request Network! Even though, there are still big steps to be taken for seamless integration. Progress is being made. The Plugin that they have created is still only a MVP. Many features will be completely different than in the final product. A demo webstore is already available! The four biggest accounting firms, PwC France & Francophone Africa will help build a better future of professional financial services together. With this partnership Request Network’s goal is to accelerate adoption of real world usage in the financial sector. These accounting firms will help the surging demand for blockchain, R&D and helping develop financial software solutions. The REQ token has been successfully launched on Huobi Korea today. This makes the token even more accessible than it was before! Many Milestones on their roadmap have already been met. Upcoming events is the ERC20 support of other cryptocurrencies in the Request payment solution. A Bitcoin Request protocol is also on the way. A lot of exciting stuff ahead of us! Payments app: Allow merchants to accept crypto-currencies on their platform. I can’t tell you how much I am looking forward to this. But it sure as hell is exciting. Hope to be able to integrate the Request Network sometime in the near future. Will definitely write about it.